The fun and innovative way to get the table talking. 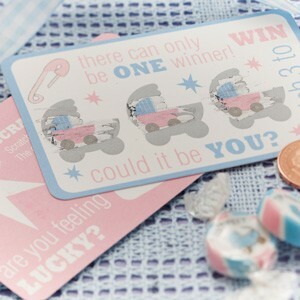 You scratch away the prams to reveal 3 icons. The guest with 3 identical images wins Pack has 10 and only 1 winning combination.